Terriers are great dogs. There are many reasons to like them. To start off, they are all small dogs for the most part. There are some obvious exceptions such as Pit Bull Terriers, but many of them are pretty small amongst the terrier dog breeds. This means that they make decent indoor dogs. Some small examples would be Scottish Terriers, Westie Terriers, and Yorkie Terriers which are one of the top 5 most popular dog breeds. It used to be that Terriers were bred for hunting and killing vermin. Terriers are brave and tough dogs, even the small ones. This is a trait all terrier dog breeds have. Terriers are courageous and loving at the same time. There are many terriers that are amongst the most popular dog breeds in the world. However, most all of them have a lively and sometimes hyper personality. All it takes is some training and they can become obedient and loving dogs that make great companions. A little TLC and you can have a very sociable and well mannered dog as a companion. Certain Terriers like Jack Russel Terriers can be trained as working dogs. These dogs are all great companions and will enrich your life. 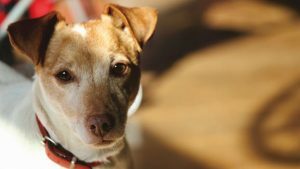 Each terrier type seems to have their own distinct personality trait, but in the end, they are all wonderful dogs. The best part is that they love it as long as you train them right and use rewards as incentive for training purposes. A harsh hand is greatly discouraged since it will only cause fear in your dog. That is why positive reinforcement is best. You can do wonders with a few dog treats and some patience. If you have one such as a Yorkie or Westie, it is fun to pamper them. Getting them a fancy bed, or a fancy collar is always fun. Then you can take them out when the weather is warm and make all the other dogs jealous. When it drops below freezing outside, it is important to be ready ahead of time. 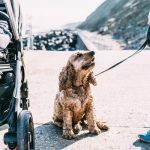 If you live in part of the country that gets snow or freezing rain there are some things you can do to make things easier when walking your dog. When it snows more than 3-4″ outside, it obscures everything. Walking on slick icy sidewalks is dangerous. Those that live in an apartment complex have the most difficulty, so here are a few ways to deal with it. 1. 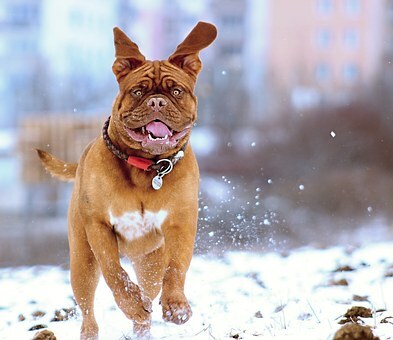 If you live in a home with a grassy front or back yard, make sure to shovel a path for your dog to do their business. This is especially important if you have a smaller dog. That way, it is easier to pick up when they are done, and they don’t get as wet and cold. If you live in an apartment and have close access to a grassy patch it is a smart way deal with this. 2. Get some ice melt. Making sure that the concrete path is not slippery is important. This is especially true if you have to walk on a side walk to take your dog potty. Clearing a path will make the neighbors happy too. Many times the apartment manager won’t do this, and will just tend to the parking lot only. 3. Always have a flash light when walking your dog in the dark. This is true even if you know your surroundings as black ice is sometimes tricky to spot. That way there are no accidents. Yes, you read the title correctly. Of all the dog breeds out there, few have the bad reputation that these do. Everyone has heard reports of incidents regarding these dogs, but there is plenty of misinformation out there as well. First of all, these dogs when raised in a loving environment almost always wind up being a wonderful companion. 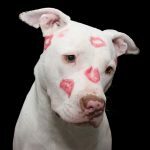 When people take them and try training them to fight other dogs, or they are abused, they just like any other dog winds up with behavior issues. Thus, they are the most wrongly maligned of the Terrier breeds. For the unfortunate stories you hear out there of incidents regarding these dogs, there are way more positive stories. Pit bulls happen to be extremely fond of children by nature. They are fun loving and very gentle. What intimidates a lot of people is their stocky build. Yes, they are strong and muscular, but that doesn’t mean violent. There seems to be a bad apple in every bunch, but for the most part, unless there is a history of abuse, most of these dogs grow up to be great companions. Their character is usually defined with terms such as affectionate, friendly, courageous, clownish and so forth. Terms like violent and deadly are not in the description list of most sites I have ever visited. Therefore it is unfortunate to see so many of these in your shelters as people often times avoid them. So if you are looking for a medium/large dog, you could do far worse. Yep, it is that time of year again. The leaves are either a beautiful shade of color, or have fallen from the trees already. This of course signals that colder weather is about to set in. And unless you live in one of the few parts of the country that gets to enjoy 60-70 degree weather December through February, now is the time to get ready. 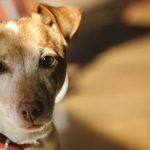 Since this site is mainly about Terriers, it is assumed that most of you dog owners, (that own Terriers) keep them indoors. For those that don’t, there are extra precautions you need to take. If you let your dog sleep outside, there are a couple of ways to ensure that they stay warm at night. The more expensive way is to invest in a heated dog house. The more convenient option though is to make a place for them in the garage and keep a portable heater handy. Making sure that their water doesn’t freeze is critical, and both options should take care of that. It is not uncommon to let some long haired dogs sleep outdoors as many can take colder weather better than other breeds including Huskies, Newfoundlands and others. Other than that, it comes down (for most Terrier owners) to walking them and enduring the weather. Fortunately, there are a wide number of places that sell doggy coats. Not only are many of them warm, but look for ones that are water resistant as well. Also, though your dog may initially hate it, a set of doggy boots is helpful to keep their pads from getting too cold. It is indeed funny to watch them the first few times they do “the dance” when you put them on. I can testify from experience that when the temperature drops below 20 degrees or so, our dog hates to walk on the cold cement as evidenced by the way he reacts to it. Having an indoor dog eliminates most cold weather issues, but getting some quality gear ahead of time is a good idea. 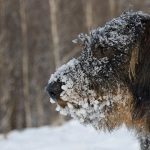 You don’t want to wait until it is too late and make your dog suffer when having to take a walk in the bitter cold to go potty. 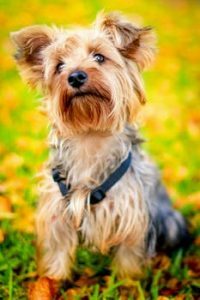 Among all of the terrier breeds, the Australian terrier is not quite as well known as say a Yorkshire, Airedale or Russell terrier. However, they are very lovely little dogs and have quite a few great traits that make them wonderful companions. 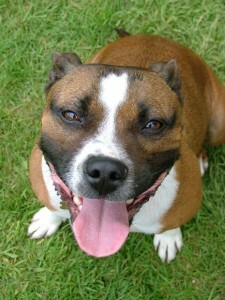 They generally get along well with kids and with a little training with other dogs as well. Their personality is mostly upbeat and energetic. They are quite smart too. When trained properly, they adapt to most any environment and learn pretty fast. They usually don’t get much over 16-18 lbs in size, unless you over-feed them. They have a mostly a blue and tan or reddish colored coat that is kind of rough to the touch. Another positive attribute is that they are not excessive barkers, although they do bark for most other standard things most dogs bark at. This includes people knocking at the door, wanting to play and things like that. You can expect a life expectancy of upwards of 12 to 15 years or so. 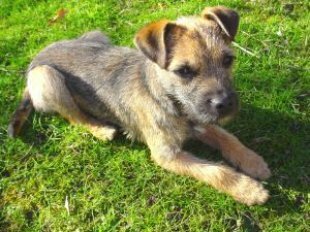 There is a growing number of different breeds out there and for terriers it is no exception. In many cases, this is not a bad thing, but sometimes it can be. Generally, you want to make sure that if there are two breeds that have been mated together, that they are generally around the same size. This helps to ensure that the litter is a healthy weight. Another thing is to try to make sure that there are no resounding differences. Such differences could include a breed with a long snout versus one with a very short snout. This could possibly lead to the offspring potentially having breathing troubles. The lesson to be learned here (as is with many different things in life) is that just because you CAN do something, doesn’t mean you should. So if you are interested in getting a mixed breed dog, it is best to do a little research first to see how widespread the breed is. Check and see how their general health is and common behavioral patterns, etc.. Picking the right canine companion can be a difficult choice. It you are looking for a small one, then a Yorkshire Terrier might work out well for you. They are the most popular of the toy breeds in the US. Before you get one though, there are some things that you need to consider. It is crucial to properly correct a few negative personality traits that this lovely little dog usually has. With a little work, it can usually be done in a month or 2 if you are consistent. Then you get to enjoy the benefits for the rest of their lives. 1. They have a tendency to be yappy (sometimes very yappy). It is crucial to train them when they are still puppies when it is and is not appropriate to bark. Since they are often leery towards strangers, it is important to socialize them and have them meet your neighbors. After a while, it will start to recognize them and not bark at them as much. This word was mentioned in the above paragraph, but let’s define it a little further. You need to have your dog meet and greet other people and ALSO other dogs, especially ones around their size. Take them to the local puppy park. Find friendly neighbors on your block that have small dogs, etc.. and have them interact. It is helpful to eliminate much of the stand-off behavior. Yorkies are naturally very sensitive and pick up well on the feelings of their owners. That is why it is a bad idea to be over protective of them. Hence, as was mentioned above, properly socialize them. 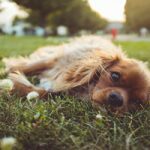 If you take some time and work at these 3 common issues, then you will have a much happier little dog for the long run. You will also have less annoyed neighbors as well. During the cold months of winter you need to be prepared for contingencies. For people that live in southern California, Arizona, or other warm year round climates, freezing temperatures and potential snowfall are not usually an issue. If you make up the majority of people however, it is always wise to be as prepared as possible for inclement weather. Here are some things you can do in preparation to keep you and your dog(s) safe in cold weather. If you live in a place that usually gets snow then you need to have snow removal equipment. Some states that expect snowfall every year have teams of snow plow drivers and that is good for the roads, but what about around your home? At the very least get a sturdy show shovel to clear away snow from your walkways and a patch of grass so your dog can go potty without having to walk through the snow. If you can afford it, a good snow blower makes quick work of accumulation. One thing you want to avoid is an icy path that is slippery for you and for your dog, so clear the snow as best you can so it doesn’t melt into slick ice if the sun comes out. 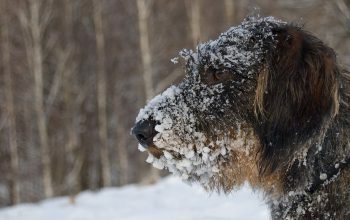 Dogs can usually handle cold weather better than people, especially if they are a long haired dog. That does not mean that they are impervious to the cold though. 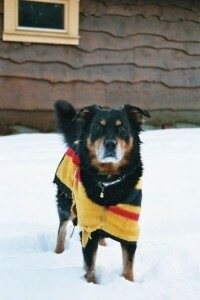 Getting a dog sweater or coat can help keep them warm when you take them out for a walk. In very cold weather a pair of dog boots can protect their feet. Having some extra dog food on hand is never a bad idea. If the weather gets bad enough that you can’t leave your home for a few days then you will be glad that you stocked up. One more thing. If you keep your dog outdoors, make sure that you have a way to heat their dog house if the weather gets cold. There are not too many dogs that can handle the cold like Huskies can. Evan then, it is wise to have a heat source for those dogs in case you have a severe cold spell. This time of year can be strenuous for people that have to deal with hot and humid weather. The same is no different for your dog. When the weather is pushing temperatures past 80 degrees and in some places 100+, staying cool is very important. Yes it is true that dogs have a different way to cooling off then people but some fundamental similarities remain. Yes, dogs pant to stay cool because their skin doesn’t sweat like ours. Because they are warm blooded like us, the same things we do to cool off will work for your dog. Just like us your dog needs plenty of water to stay hydrated. The only caveat though is you don’t want to give your dog ice cold water as it can cause severe cramps or worse. Cool water is fine though and they need plenty of it just like we do. 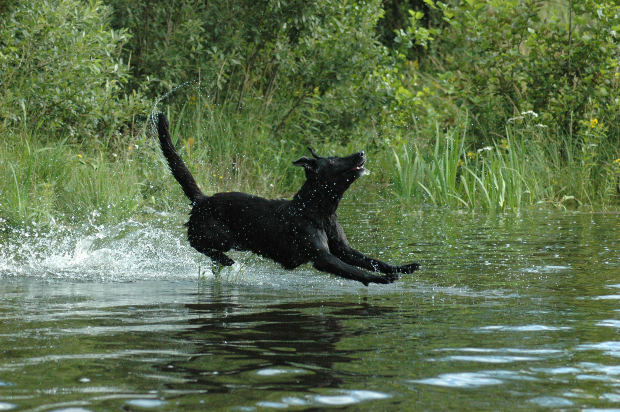 The same way that we enjoy cooling off on a hot day your dog can benefit from too. Find a nice lake, or even your own swimming pool and bring the dog along. Dogs are inherent swimmers and the cool water is a great relief from the hot sun. Just remember that when the temperature soars to make sure that your dog stays as comfortable as possible. If they overheat the consequences can be dire. It is now spring time and with the warmer weather also comes fleas. Fleas are the bane of all dogs and warding them off is a troublesome endeavor unless you take proper action. The truth is that long haired dogs suffer the worst not because fleas like them better, but because they are harder to spot and remove. Therefore, it is best to take action before your dog starts to suffer. 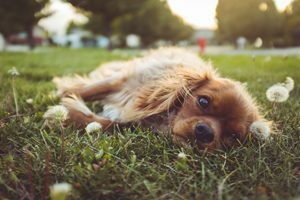 The more time your dog spends outside in the grass the faster they will have a problem. Fleas can exist in the winter as well, though it is far less likely for a dog to become infested especially if the weather gets too cold. Lets look at the 2 basic types of solutions for flea treatment and better yet, prevention. A popular solution is to go with one of the popular commercial based solutions you see on TV. They usually work very well and can be effective for months at a time. However, because they are manufactured chemicals they might potentially develop health problems later on as these chemicals seep into their system as they are placed on the skin. Most claim to be safe, but is up to you to decide for yourself. There are a ton of more natural solutions available to various levels of success. This is where you can do a Google search and get the opinions of other people that have tried said solutions. There are also some commercial solutions that are natural as well such as diatomaceous earth which is essentially crushed up and powdered rock. I have used it and it works great. 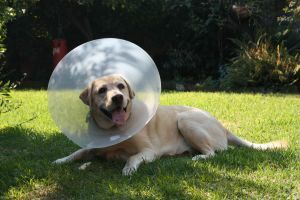 Whatever route you go it is a top priority for being a dog owner as dogs can suffer greatly if left untreated so prevention is the best medicine. When describing what kind of dog the Pit Bull is, it is good to understand their ancestry first. The American Pit Bull Terrier is a descendant of the English Bulldog and is a cross between this dog and other Terrier breeds. This selective breeding was done to create a non-aggressive dog with a stable temperament. In the 1800 these dogs came from Ireland and over time they were bred into stockier and larger dogs to the common ones that you see today. Though these dogs have a bad reputation it is undeserved. The aggression that is most commonly associated with these dogs comes from improper behavioral training. These cruel and irresponsible owners train these dogs to be aggressive for the purpose of fighting other dogs where bets are placed on the fight for money. Although this is illegal in this country is still happens. Another reason for occasional aggression in these dogs is simply owner ignorance. Any dog that is improperly socialized exhibits negative behavior. The fact is that this dog is known to be especially fond of people and very friendly. The Pit Bull is one of the most popular dog breeds in America and has a pass percent of 84.1% from the American Temperament Testing Society. Granted, the sheer size of this dog makes them a good deterrent for would be burglars and with the proper training they can make great guard dogs. That does not mean that they can’t be a great family dog at the same time because they can. To conclude, don’t let the negative reputation that this breed has gotten over the years dissuade you from considering getting one as a family pet. They are a big dog so the cost to feed them is more, but this is a small issue. They are great companions that will give you years of joy and warmth.